What the F Happened?shoot unarmed blacks Archives - What the F Happened? Race Relations in America gets a big fat F! America needs to stop debating gun control for politics and stop allowing race issues for economic gain. Today, May 13, 2017, I have just posted my 46th Blog (the fifth blog about ‘My Pet Eagles’) and have just looked at my blog subscriber count and have been wowed over the fact that some 4,755 people from all over the world are so interested in my blogs that they want to be notified each time I publish a new blog. I have no way of determining the percentage of site traffic to the number of subscribers. Here’s what I know, it is impressive to have that many subscribers. It is Amazing! Before I was diagnosed with Breast Cancer in 2014, it was my intent to share a lot more opinions with you about issues that affect us all. When I created this blog, I knew naming it “What the ‘F’ Happened” would attract people seeking information on controversial issues. The point of the ‘F’ is for emphasis on the issue I raise because even if you are a Christian, when you are finished reading my blog(s), the question I want you to ask is “What the F happened?” Its like saying you do not curse; until a door slams on your fingers. I had no intentions to blog about a pair of mated bald eagles. However, just like my first blog about them explains, I started watching these eagles on the DCEAGLECAM as a means of rehabilitation from the ugly chemotherapy and horrible radiation. (I promise I will blog more about my experience and now my suffering with Lymphedema). It is so much going on in the world today, I needed to put aside the pain of my life and the nasty politics and put some attention on ‘Romance and Relationships’ by showing you how a family of eagles can teach us a thing or two about commitment to God, love, and family – and this eagle family is perfect for delivering the message of love. So now I am ready to get back to blogging about my favorite controversial topic; “Race Relations in America”. You recall, just before my ordeal with cancer, I was blogging about Race Relations in America between those that were sworn to protect the minorities they ended up shooting and killing. That was 2014. Phew. Since then so much has happened and I dare not attempt to blog about all of the people of color that have died at the hands of law enforcement that made national news because of the controversial manner by which the events occurred. I lost blogging time on all these horrible deaths. While it is important to discuss the impact of the cases where police have shot and killed unarmed minorities, it is equally important to discuss the fact that too many of our law enforcement officers have died at the hands of someone vying for revenge. There is no way I can blog about all of the deaths that have affected not only the families on both sides of the gun, but their friends, their communities, and those of us that live in fear because we are minorities with children (especially our young men) that we love deeply. We cannot forget about those of us with military and law enforcement family members regardless to race, that have been killed in retaliation. We must find, agree, implement, and live in the solution to Race Relations in America. Why? Because it hurts those of us on both sides of the gun. Therefore, in order for me to make up for loss blogging time on the argument on both sides of the gun, I decided to fast-forward my blogs by providing a list of links to web sites, web pages, you tube videos, and news reports. Later, I plan to blog the issues in more depth. But right now, lets review a list of links that address both sides of the gun regarding race relations in America! Please know that I will add to this list and this list is not made in any particular order. 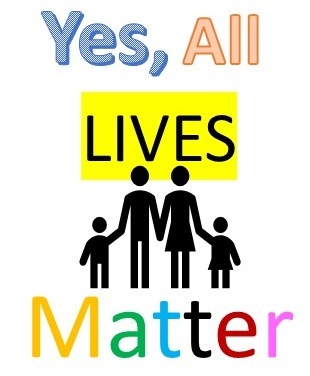 The issue of Gun Violence, Cops killing minorities, Police being killed, and/or police brutality affects everyone! This one hits home for me because its my family! 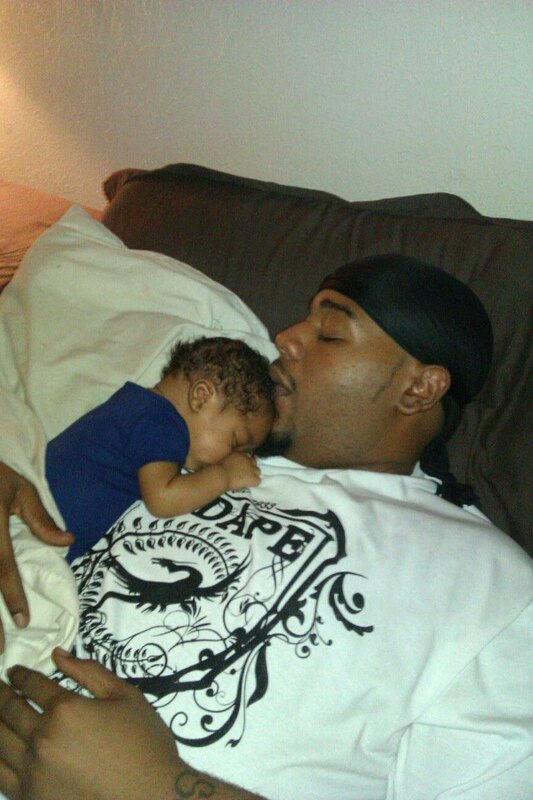 My cousin Clinton Allen holding one of his newborn twin sons a few weeks before he was killed by a Dallas police. Allow me to start off with my cousin Collette Flanagan. 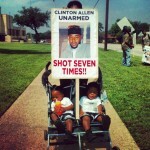 Her 25-year-old unarmed son Clinton R Allen, father of twins was shot 7 point blank times and killed by Dallas Police Officers – on March 20, 2013. Also battling breast cancer and after the death of her son, Collette founded Mothers Against Police Brutality (@fightingmothers). While this have been hard on her, Clinton’s twin children, and the rest of our family, I appreciate her strength and leadership. She is not being used by the politicians. She is forcing change. This is a picture of Clinton’s twins (boy & girl) a year after their father was killed by a police. 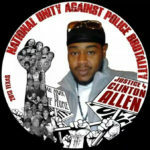 His name was Clinton R. Allen. He was 25. He had a job. He loved his mother, girlfriend, and twin babies. He was walking home. Feedback and comments on Race Relations in America are welcomed. The Ferguson Activist that co-founded Black Lives Matter (Darren Seals) was found shot dead in a burning car. Blue Lives Matter – We Have Had Enough! Here’s a list of ‘unarmed’ minorities that were shot and killed by police from 1999-2014. After 9 High-Profile Police-Involved Deaths Of African-Americans, What Happened To The Officers? NOTE: Nothing on this site is intended to promote hate or violence in any form. My reason for sharing my opinion with you is to invoke change and bring about positive change. AMERICA GETS A “F” IN RACE RELATIONS!